According to official information released by the Gaming Inspection and Coordination Bureau (DICJ), the year-on-year change registered in Macau’s casino gross gaming revenue was 8.5% to MOP24.995 billion (about $3.119 billion) in November. The released result was largely in line with the preliminary estimates provided by a number of financial experts who had projected a gross gaming revenue from 5% to 10% for the period. 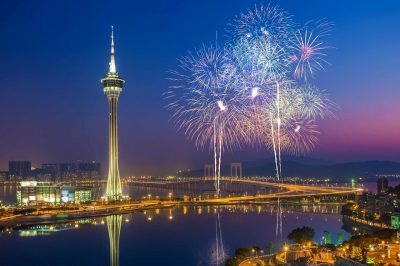 So far, Macau gambling venues have generated MOP276.38 billion (about $34.31 billion) for the first eleven months of the year, with the result representing a 13.7% growth in comparison to the January to November period in 2017. The gross gaming revenue generated so far in 2018 is even higher than the one generated for the entire 2017, as Macau-based casinos accounted for a total of MOP265.7 billion ($33.13 billion) last year. Of course, Macau has faced some difficulties, too. A few years ago, in 2013, the region, which has been turned into a world-famous gambling resort thanks to the affluent casino industry, generated a record revenue of $45 billion, with February 2014 being the last month in the peak, with $4.71-billion revenue. The region, however, was hit by the negative effects of the Chinese economy slow-down, combined with an anti-corruption campaign which was rolled out by the Government. This caused a period of 26 consecutive months of decline for the region from June 2014 to July 2016. Despite the lengthy period of decline, Macau saw its business slowly get back to normal, with a 19% increase to $33 billion registered in 2017. Since things got back to normal, the region has now seen 28 consecutive months of year-on-year revenue growth. 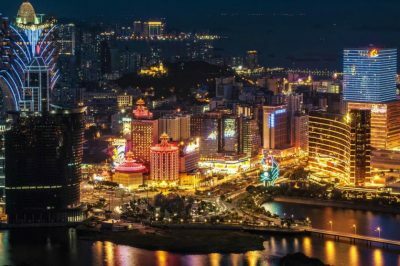 At the end of the first half of 2018, the six gaming concession holders in Macau had 41 casinos combined, with the largest number (22) owned by Sociedade de Jogos de Macau. Galaxy Casino had 6, Venetian Macau had 5, while Melco Crown owned 4. MGM Grand Paradise and Wynn Resorts owned two each. The overall gaming tables in Macau in the third quarter amounted to 6,598, with the number of existing slot machines being estimated to 17,218. As mentioned above, the November gross gaming revenue of Macau rose by 8.5% from MOP23.033 billion last year to MOP24,995 in 2018. The accumulated gross gaming revenue surge amounted to 13.7% year-on-year. The past three months have also seen the local gambling market return to single-digit growth, following six consecutive months of double-digit growth of more than 10%. The aforementioned growth of Macau was generated despite a number of factors which could be harmful to the region’s casino market performance, such a slow-down in the overall Chinese economy and the ongoing competition with the US, especially in terms of the high-end VIP segment. For some time now, the US and China have been involved in a fierce trade war, as a result of which further difficulties could be faced by the casino industry in Macau. Under President Donald Trump, the US has imposed tariffs on Chinese imports worth $250 billion and threatened to impose a further $267 billion of duties on Chinese goods.